Smartphones. Almost a necessity in modern life – and a divisive one at that. With constant notifications, we are so easily dragged out of present surroundings and into that welcoming pixelated glow. 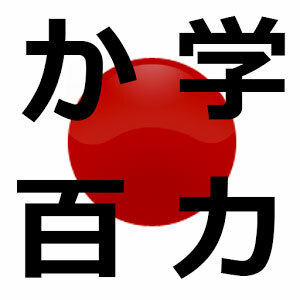 Distractions aside – and I’m speaking as a chronic Facebook, Twitter and Instagram addict – there are some very useful apps for studying Japanese. The best news of all is that these magical tools needn’t cost you a single yen. Which is particularly great whenever you are reminded of how much it costs to have a smartphone in Japan. So let’s check out the options. You are studying Japanese and you haven’t been using a Anki/Ankidroid or some other similar flashcard program? Please share your study methods with us mere mortals as Anki is basically a shortcut to vocabulary heaven or the path to enlightenment. Take your pick. Anki allows you to import kanji and vocabulary ‘decks’ from popular textbooks or JLPT lists and then converts them into flashcards. These can range from just a word or kanji, to vocabulary placed in sentences to help you understand the context for it. These can come with audio cues and hilariously cheesy stock photos for extra fun. When presented with a flashcard, think of the answer and then click to have it revealed. You can then self-mark from Again to Easy, with the time in which the card will be repeated listed alongside the options. As well as being able to create your own decks, Anki comes with a range of useful features, including an answer timer and the ability to flip the questions and answers – this is particularly good for when you want to switch between reading kanji or vocabulary to being able to write them. 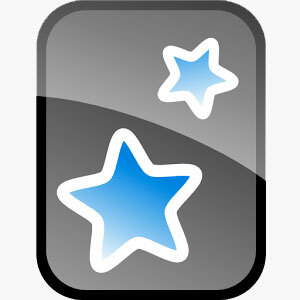 Anki can be used as an app, online or a desktop version. 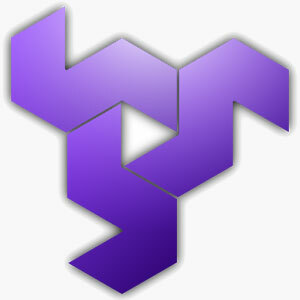 For creating decks, you might find it quicker to use the desktop version and then sync it with your device. Apologies to iOS users – you have to pay, but you’ll get your money’s worth. This app will appeal to two kinds of students: 1) the self-studiers who are floating around in a grammatical abyss, looking for a structure to follow, or; 2) the Japanese language immersion students, who just can’t always grasp the meaning from context and examples given in class. Hands up who has craved a good old-fashioned explanation in their native language? 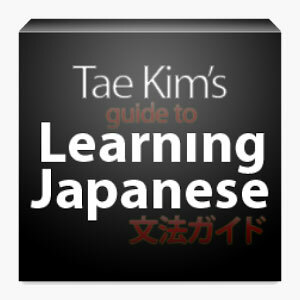 Tae Kim’s Guide to Learning Japanese is the answer to your prayers. It is packed with logically organised lessons, beautifully clear explanations, and conjugation tables, and there are even some exercises for the first chapters on basic grammar. A list of vocabulary used in examples is given for every lesson, with the kanji, readings and English meanings, allowing you to pick up new words whilst also seeing the grammar work in context. Even without referring to this list, all kanji are clickable and so you should never have to refer to a dictionary. It’s not a game-app – it’s not supposed to be particularly fun or to help you with memorisation, but if you really want to understand something, Tae Kim is your sensei. Have you ever opened an app and immediately fell in love? No confusion over how to use it but swiping through screens as if you and it had been born together? That’s how I felt about Obenkyo (which is also available in French – great news for native Francophones). Start from the basics of katakana and hiragana and advance through to kanji and vocabulary as it throws various ways to test you, from multiple choice to touch-screen writing, with English to Japanese or vice versa as answer options. Kanji lists can be displayed according to JLPT levels, making this the ultimate tool for helping your prepare for the exam. You can easily access a list of vocabulary, classified by word type as in a dictionary, with verbs, for example, being listed as ichidan/godan, and transitive/intransitive, etc. Perhaps the star feature is the handwriting recogniser – it corrects not only your form but also your stroke order. If it makes a mistake in recognising your writing, you can easily tell it so, and your score will be adjusted accordingly. A ‘find the missing particle’ feature is being trialled, which allows you to select the correct particle to fit a sentence, and subsequently provides a grammatical explanation. 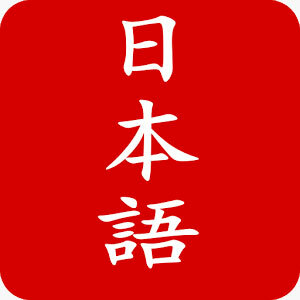 All kanji can be clicked to reveal their reading. The app has also imported Tae Kim’s guide for grammatical references. My only gripe would be that the multiple choice quizzes are often little silly – the question will demand a verb and then give several nouns and adjectives as answer options, making it very easy to guess which word is right! Popular with gaijin iPhone users across Japan, imiwa? provides an offline dictionary with a variety of methods for finding words: not only can you search using romaji as well as Japanese characters, but you can look up kanji by SKIP (System of Kanji Indexing by Patterns), multi-radical and Chinese radical. Its clear interface allows for the easy creation of lists and favourites, as well as very simple copy to clipboard/export to email functions. 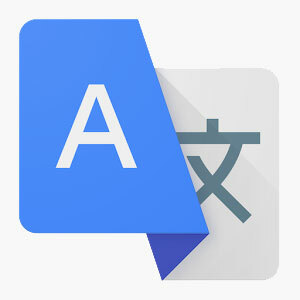 It will appeal to those who don’t have English as their first language, as definitions and example sentences are listed in a variety of languages, including French, Spanish, German, Italian and Russian, although native English speakers may find the screen a little overly busy as a result. The other fantastic feature is an automatic look-up of any text that you have copied to clipboard. Browsing a website and don’t understand a word? Copy it, open imiwa?, and the results will be instantly displayed. The app, however, isn’t as slick as it could be. It does not have a handwriting look-up function for searching unknown kanji. This can be circumnavigated easily enough by switching to the iOS inbuilt Chinese keyboard, but it’s an unnecessary faff. Finally, users might be frustrated by the inability to pause the stroke order when viewing demonstration animations. Akebi is a huge dictionary, with a vast array of examples. 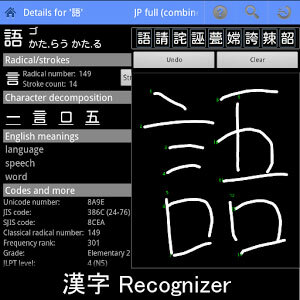 It has a clear handwriting and radical search function, with the option to mix a variety of methods to find words composed of several kanji, making it a very flexible tool. It also offers a ‘Show Words with this Kanji’ function, which is great when you come across a familiar character but you can’t quite place it, or if you want to easily see variations of the same word. Its stroke order animations are particularly useful, allowing you to toggle numbers on and off, pause and repeat easily. That said, the user interface is hardly an aesthetic feat and its not immediately intuitive. Furthermore, a large database can be a more of a hindrance than a help because it often lists the same word with different kanji without giving any indication of which is the most common usage. Some really old-fashioned and archaic Japanese contained within it so watch out! Out of the three dictionaries, Japanese takes first prize for design, with a beautiful, clear interface. It understands how a user thinks: on opening, it presents you with a search bar to immediately type in, but also a handwriting, kanji component and SKIP search option, all on the same page. It contains an audio clip for all entries and has the clearest layout for examples with hiragana above the kanji used and each kanji displayed underneath with their meanings. Overtaking both imiwa? and Akebi on the development front, it has an incredibly useful list of conjugations for every verb. Japanese features a built-in study system, but it’s not as good as the one that Anki has. This little app may be simple but that’s where its strength lies. We’ve all been there – staring at some unknown kanji as if we can wring its meaning out of it with our eyes. 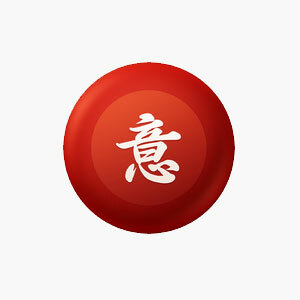 Kanji Recognizer is made just for those moments, enabling you to swiftly handwrite the kanji and obtain its readings, radicals, strokes, and basic meanings. You can then export to Anki or immediately look it up in your dictionary for compounds and examples of its use. I’ve found it to be the best app at recognising handwritten kanji, and so I use it whenever my dictionary app cannot interpret my kanji squiggles or when I only want a kanji reading, rather than a detailed explanation of its meaning. Its simple interface and layout also make it very quick to use. So this may not be a Japanese-specific app, but for translating longer texts and getting the general gist, Google Translate is invaluable. There will be times when your dictionary app doesn’t contain a word or phrase and you’ll need to double check it. It also has some really interesting experimental search options. In addition to handwriting, you can use your phone camera to scan words to translate and you can also test out its audio recognition software, in which it will then speak its translation back to you in your chosen language.